Did you know that spinach is an excellent natural resource for vitamins, fibers and minerals? That’s why today we propose a healthy and fun recipe. Fill your Spinach Crepes any way you like! Spinach is an excellent natural vitamin source, providing Vitamin A, C, E or K among others, and minerals such as calcium, iron or potassium, which provides few calories and contains no fat. Spinach is composed mostly of water. The amount of fats and carbohydrates is very low but it is one of the vegetables that contains the most proteins. It is rich in fibers, especially the stems, being very beneficial for our health. It is also a vegetable with antioxidant properties that protect us from cell damage. And best of all, they are available throughout the year! They promote the transport and deposit of oxygen in the tissues, increase our muscular strength, help to lose weight, that is why it is one of the key ingredients in our AppMuteruter, since it is ideal to include it in your meal plan, due to its low Caloric content and its great nutritional contribution. In addition, it promotes intestinal transit, promotes energy and vitality and helps prevent diseases. You haven´t excuse not to include spinach in your diet! Here’s a very healthy recipe made with spinach. 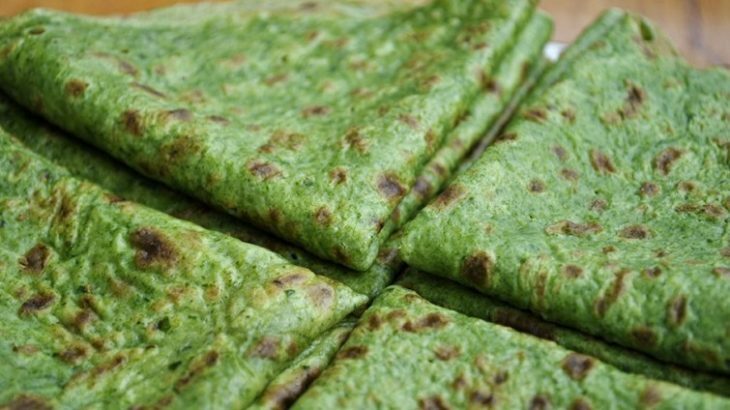 How to prepare the Spinach Crepes? Wash spinach well and cut into small pieces. Then, mix with the egg whites and add a little salt and another pinch of pepper, until forms a liquid paste. Then pour a few drops of olive oil into the pan and let it warm. 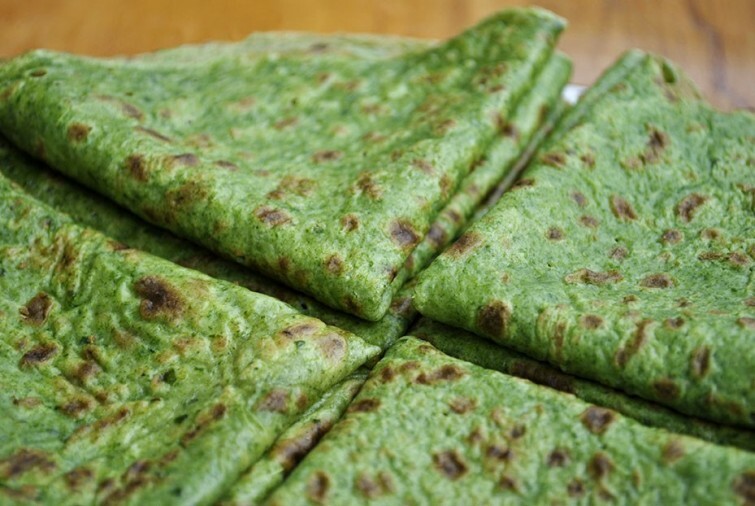 Finally, pour a large ladle of the spinach mixture into the pan until it is with the crepe thickness to your liking. Leave it for a few seconds until you see that it is done, and turn it to make it on the other side. Ready! Our Spinach Crepes will be ready to fill you with whatever you want. In addition, each member of the family can fill it with whatever they want. If you are following the method of AppMuteruter we advise you to fill it with chicken, tomato and lettuce. For your children or other diners you can fill them with roasted spinach mixed with ricotta cheese. Roll them as if they were cannelloni and put them to gratinar with béchamel and grated cheese. You’ll get it right! Mediterranean Diet, Mediterranean Recipes diet, healthy, healthy diet, healthy recipes, mediterranean diet. permalink. Why is good nutrition with physical activity important ?